Hedge funds and Institutional Investors are now filing their new 13F filings, disclosing their equity portfolios as at the end of Dec 31, 2013. Scientific studies have found that retail investors, who are known to rely on the strategies which big hedge funds activities follow, are successful by nearly 18 percentage points in a year. However, the study also noted that, the success rate was achieved when the small investor remained invested in the strategy over a longer period. In this piece we will focus on Lucas Capital Management, led by Russell Lucas. In 13F filing Lucas Capital Management, disclosed its portfolio’s total value of $299.68 million, for the period ending Dec 31, 2013. The numbers show a flat growth, in comparison to the previous quarter equity portfolio of $293.13 million.We have, therefore, selected the five largest holdings – in terms of value – that Russell Lucas has held in his equity portfolio, at the end of last year. Out of the top-five largest value holdings, the first on the list is Dorchester Minerals LP (NASDAQ:DMLP). Lucas Management has purchased some more shares during the fourth quarter, increasing the position to 530,767 shares, from the previous amount of 526,907 shares. The value of the stake increased to $13.79 million, from $12.59 million at the end of the third quarter. During the fourth quarter of 2013, Dorchester distributed cash in the amount of $0.47 per common share, slightly up from $0.46 per share in the previous quarter. Second of the top-five companies on Lucas Management’s list includes Whiting Petroleum Corp (NYSE:WLL). The fund trimmed the position to nearly 173,600 shares, during the fourth quarter, from 186,100 million held earlier, the current value amounting to $10.74 million. In December, Whiting Petroleum Corp (NYSE:WLL) offered to exchange all of its outstanding unregistered 5.750% Senior Notes due 2021, issued in September, for newer registered 5.750% Senior Notes, also due 2021. In September, 5.750% Senior Notes due 2021 were issued against the average principal amount of $800 million, as these were valid as per the Exchange Offer. 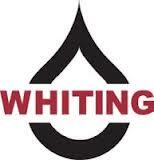 Whiting Petroleum Corp’s (NYSE:WLL) saw a total of 8.533 million barrels of oil/natural gas liquids (NGLs) production, of which 87% were represented by crude products. Production increased by 12% to 92,750 BOE/d over the third quarter of 2012. Net Income in the third quarter was $204.1 million, a jump of 146% from $82.9 million in the third quarter of 2012. Third on our top-five list is Pioneer Natural Resources (NYSE:PXD) with 55,100 shares, valued at $10.14 million, the stake being initiated in the fourth quarter of 2013. Recently, the company reported a production of 173 thousand barrels oil equivalent per day in the fourth quarter. The production was 6 MBOEPD lower than its estimated production, of which 5 MBOEPD of curtailment was attributed to severe winter weather in Texas. All the affected wells have now returned to their normal production. The remaining 1 MBOEPD of curtailment was due to facility freeze-ups in Pioneer’s Eagle Ford Shale, which has also returned to normal production. Of the hedge funds we track, John H. Scully’s Spo Advisory Corp is the largest shareholder with 4.52 million shares in its equity portfolio. Lucas Capital Management’s fourth-largest holding is Denbury Resources Inc. (NYSE:DNR) with a $7.72 million stake. The fund holds 469,594 shares, which is nearly double the quantity of 215,194 shares it held at the end of September. Denbury Resources Inc. (NYSE:DNR) initiated a share repurchase program, back in 2011, and, at the beginning of January, the Board approved to increase the amount by another $250 million, raising the previous value of $1.16 billion. Meanwhile, it had around $422 million worth of shares authorized to buy back by the end of last year. Denbury has spent $740 million for acquiring roughly 48 million common shares, at an average cost of $15.55 per share. Other hedge funds, which held Denbury Resources Inc. (NYSE:DNR) shares in the latest round of 13F filings, include Mak Capital One, managed by Michael Kaufman, with an ownership of 2.51 million shares, followed by Wayne Cooperman’s Cobalt Capital Management, holding 1.10 million shares. Lucas Management’s fifth most valuable holding is represented by Energy Transfer Equity, L.P. (NYSE:ETE). The stake was trimmed to 85,840 shares valued at $7.02 million, from 109,960 shares held at the end of the third quarter. Energy Transfer Equity, L.P. (NYSE:ETE) has split its Partnership’s outstanding common units in two-for-one. Following the split, the Partnership has approximately 560 million ETE common units outstanding. Mason Capital Management, led by Kenneth Mario Garschina is the largest shareholder of all the hedge funds we track, which holds 7.50 million shares, with a reported value of $492.95 million.